Reproduced from the LO RES proof received from the publisher. In the GREEN LARGE PRINT SONG BOOK Barry Hall recorded eleven popular tunes remembered best played as instramentals. We were unable to obtain the print rights to five works in dispute at the time of publishing. The copyright owner of WE'RE HAPPY LITTLE VEGEMITES denied our request to publish the lyrics. Application for print rights to MEMORY (in CATS) is still in progress however we were not prepared to delay this project any longer over one song. Songs from the past that rekindle positive and fond memories always provide great pleasure. A much-loved melody, a recognisable beat and an instantly familiar lyric magically come together to elicit a range of responses in listeners. 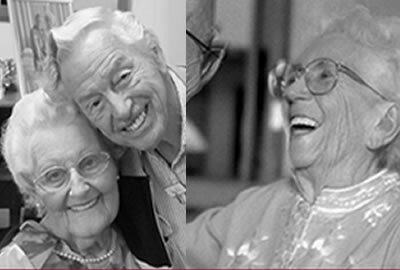 This might include rhythmic toe tapping, gentle swaying, dancing movements, quiet humming or even full-voice singing. And even if no outward signs of engagement are evident, that humble tune may well have sent a listener on a spontaneous and wonderful trip down memory lane. Such is the power of music. 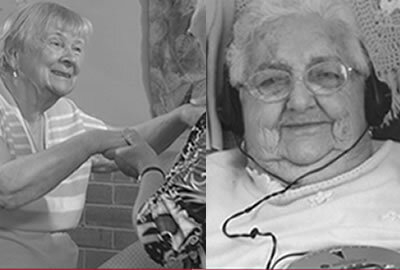 With this unique ability, music is indeed a potent tonic and it can be used to great effect in programs aimed at improving the mental health and wellbeing of elderly people, particularly those living in residential care. 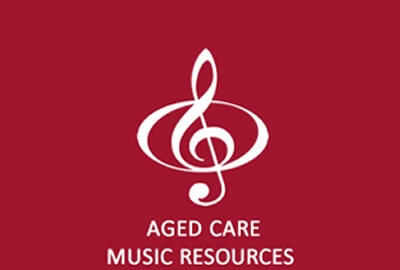 This book and its companion resource, the Green Book CD Collection, will provide you with genuine assistance in the delivery of your musical activity programs. 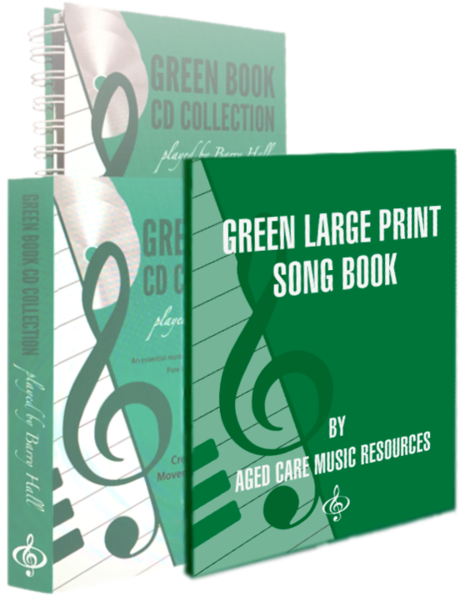 The Green Book CD Collection comprises 200 popular tunes elderly people will know and love, while the Green Large Print Song Book has lyrics to most of the songs in the collection. Barry Hall is the recording artist behind the collection. As a veteran musician, in 2014 Barry was awarded an Order of Australia Medal for a lifetime of service to music and entertainment. He had a long and illustrious career in TV and commercial radio where he ran the top-rated radio program Choose Your Own on Adelaide’s 5DN for more than 20 years. Barry Hall and his wife Linda researched the lyrics for this project ensuring they perfectly matched Barry’s recordings. Brenda Sonners, a former high school teacher, thoroughly reviewed the lyrics to ensure spelling, verses and line spacing were correct. She also noted the number of bars in the introduction to each song and any interludes etc. License has been used in some of the songs from the Baby Boomer era when matching lyrics and music was a challenge. Sharon Kreitzer and Rich Foti, performers from the group The Tapsations, in Delaware USA, helped with a few songs that posed a real challenge. Sharon included bracketed small print notes and markers (/) within the lyrics to assist you. The final review was completed by singer, entertainer and former TV personality Samantha Campbell (Sammie Woods) who sang every song and fine-tuned the lyrics. Practitioners note: The name of the singer or group who performed each song is noted at the end of each song title. This will allow you to use this book for a music quiz session. Putting this book together has been a long and arduous process, particularly in obtaining the rights to publish the lyrics. So for that I thank Shane Anthoney at APRA AMCOS and the publishers for their support in helping us to obtain publishing rights.